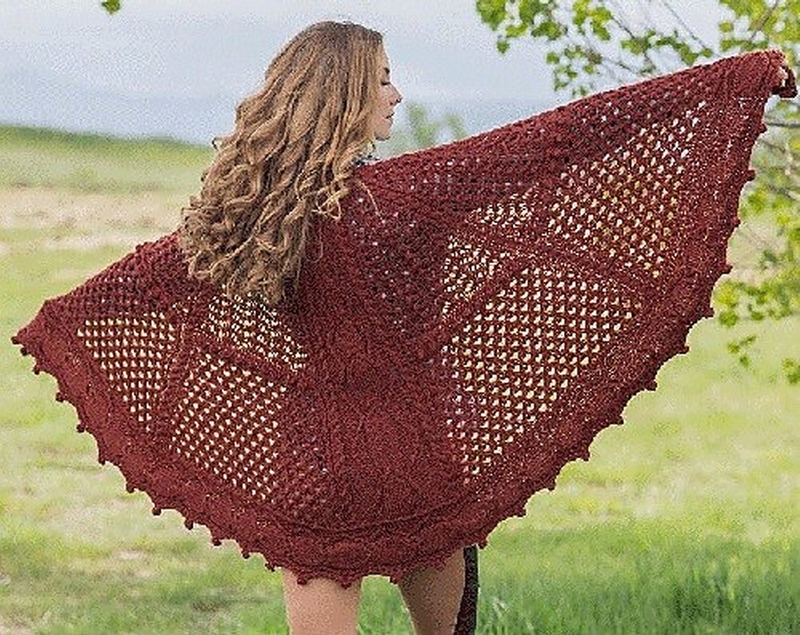 From Amy Gunderson: "Several patterns combine to make the Wonderlake Shawl impressive. 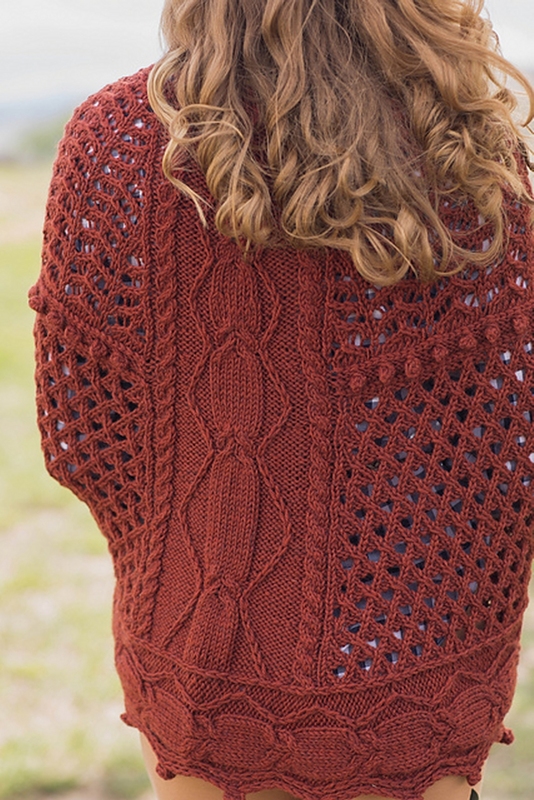 The half-circle is a fun and challenging knit, made easier by the forgiving nature of wool, which also blocks out beautifully in the finished project." This pattern is from Interweave Knits, Fall 2015. Design by Amy Gunderson. Size US 9-40" circ and size 9 straight needles (or size needed to obtain gauge), markers, stitch holder, cable needle, and tapestry needle are required but not included. Finished Measurements: 66" wide and 31" tall after blocking. 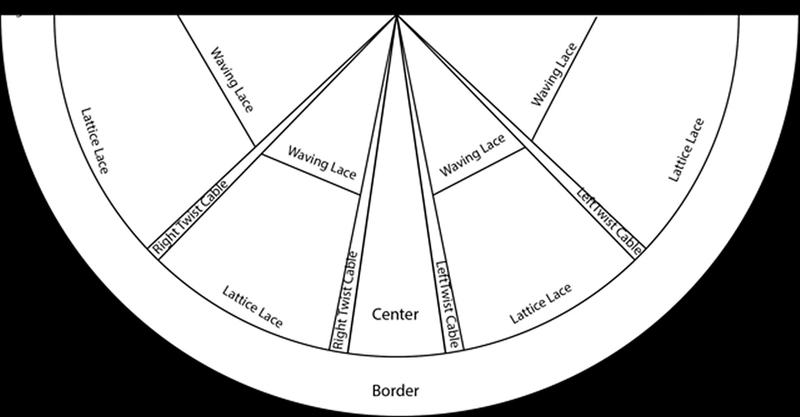 Gauge: 16 sts and 21 rows = 4" in Lattice Lace patt. 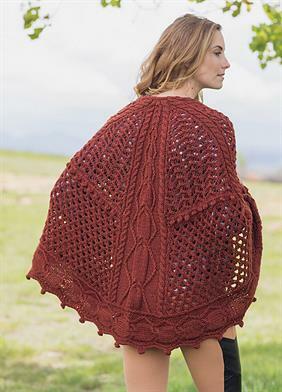 Color Shown is #12505 Rust Heather.